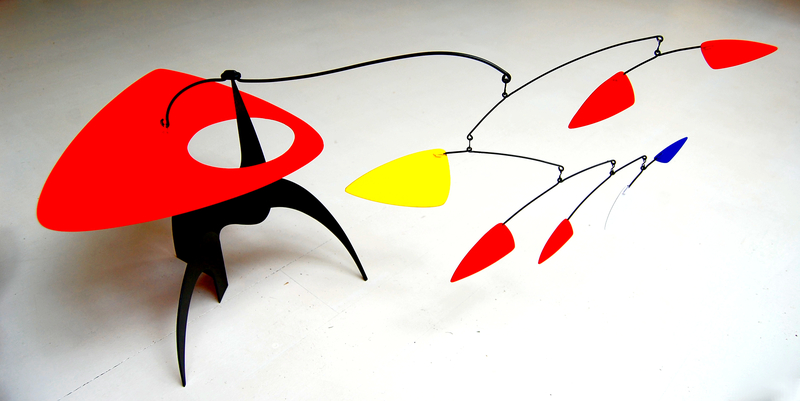 Born in Murcia, Spain in 1942, Manuel Marin became a bullfighter at age 16 before travelling to England, then to the USA, where he developed a love for sculpture, especially the work of Alexander Calder, whose influence can clearly be seen in the fine works in metal and primary colours on show here. 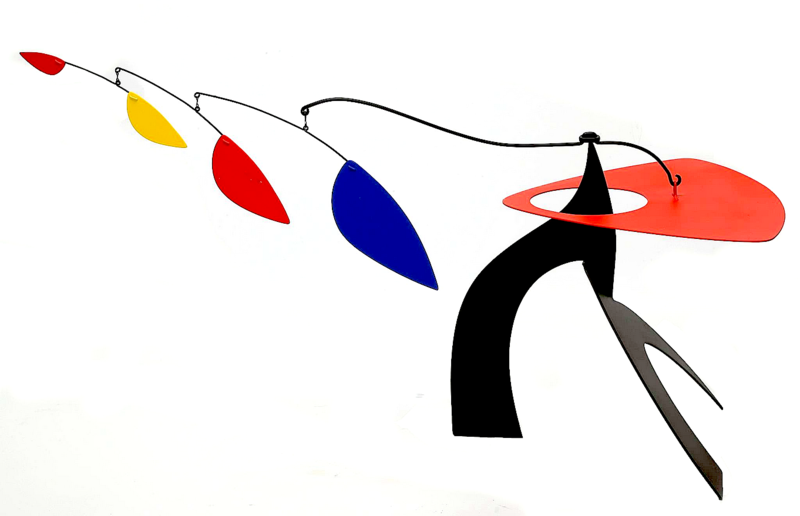 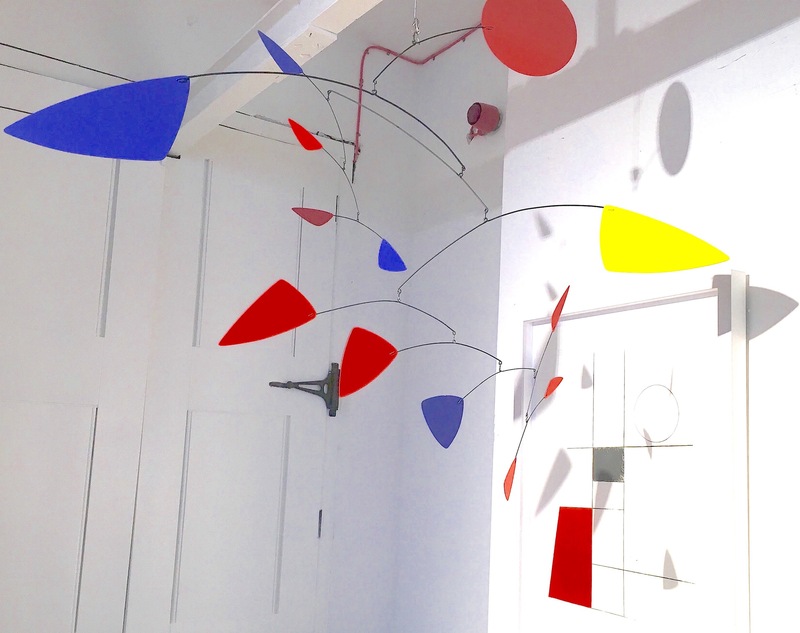 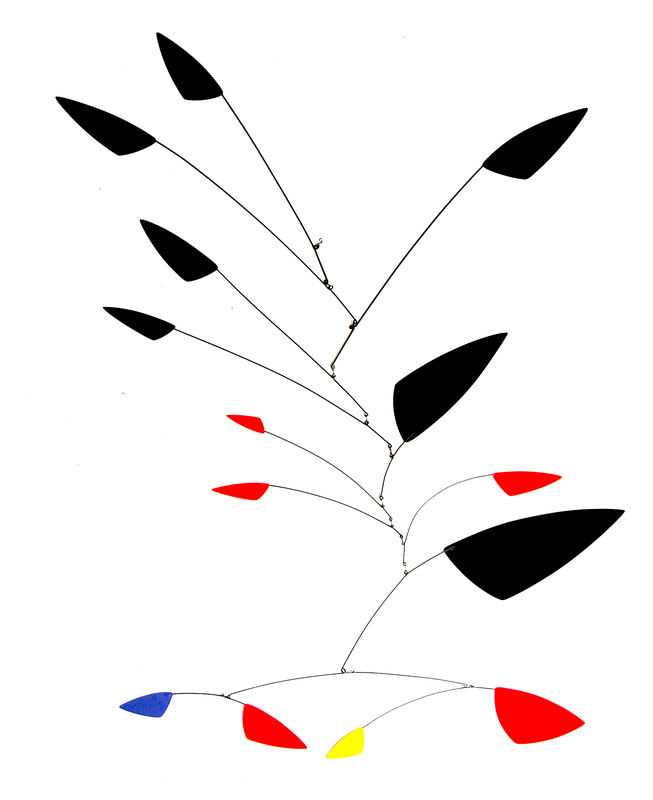 While acknowledging Calder's influence, Marin made his sculptures structurally more robust than Calder's without diminishing their elegance and poised equilibrium. 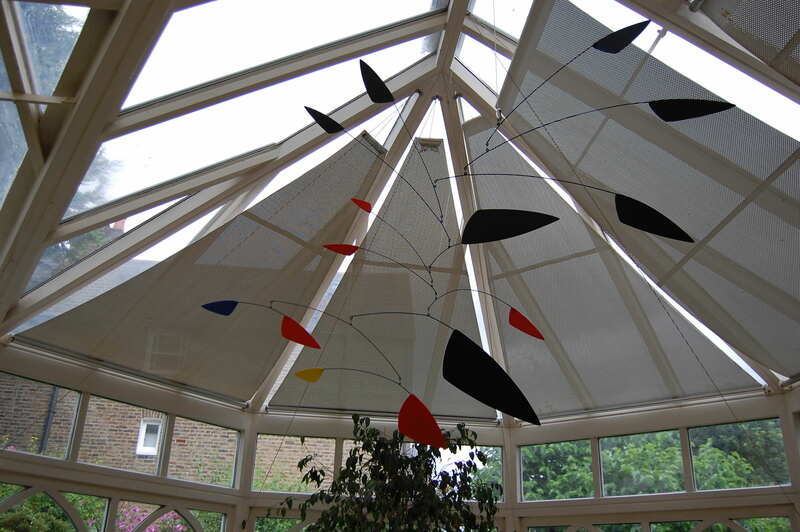 He died in 2007; the works on show here come from his studio via the artist's widow.